Our artificial putting green technology is the advanced synthetic turf used in PGA golf training centers throughout the golf world, as well as in thousands of backyard do it yourself (DIY) practice areas across the country each year. Customer service and advanced products has made us the most well-known and trusted retail and wholesale in the industry. 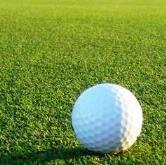 We are fast becoming a synthetic turf leader in environmental solutions. Our products are the result of years of R&D which in return provides you the most advanced turf technology with a eco-friendly solution. What Makes The Product: It's important to not overlook the face weight, yarn denier, quality of yarn, pull out strength, proper pull-down, product backings and UV blockers that are all factures in building a superior synthetic turf product. LifeLike Turf is committed to helping our customers get what they paid for, plus we guarantee that you will be saving substantially in more ways than one!